You have probably listened to well-meaning family members tell you that it is never too early to start planning for your retirement. It is also never too early to start learning more about your Social Security retirement benefits. Doing so ensures that you have a good idea what your benefit amount will be and helps you decide when to start collecting those benefits. The Sacramento elder law lawyers at Northern California Center for Estate Planning & Elder Law explain some basics about Social Security retirement benefits to help you better plan your retirement. Social Security was established in 1935 by the Social Security Act. 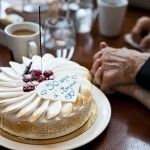 Prior to the establishment of the Social Security system, support for the elderly was undertaken primarily by families. The Social Security retirement program is based on contributions workers make into the system. While you are employed, you pay into Social Security and then you receive benefits later on, when it’s your turn to retire. On your paycheck, the contributions will appear as the Federal Insurance Contributions Act (FICA) taxes. For several decades after the birth of the Social Security retirement system, many workers could realistically expect to live comfortably on the combined income from an employer-sponsored pension and their Social Security benefits. Unfortunately, increases in Social Security benefits have not kept pace with the increases in the cost of living, meaning the average person can no longer expect to rely heavily on Social Security benefits to fund retirement. You accumulate credits based on your earnings throughout the course of your working years. The amount you need to earn to accumulate a credit has increased over the years to keep up with inflation. For example, for 2018, you get one credit for every $1,320 you earn, up to a limit of four credits per year. Once a credit is earned it remains on your record forever. If you were born after 1929, you need 40 credits in order to receive Social Security retirement benefits. Therefore, most people alive today must have worked at least ten years over the course of their lifetime to be eligible for Social Security retirement benefits. How Is Your Monthly Benefit Amount Determined? The amount of your monthly benefit will depend on several factors. If you want to know now how much you have paid into date and/or what your benefit will be, you can get an estimate at any time. 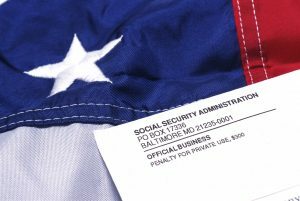 The Social Security Administration (SSA) mails out a summary of your benefits each year, about three months before your birthday. In addition, you can request one by calling the SSA (800-772-1213) and asking for a form SSA-7004, or you can download the form from the SSA website. Your statement provides a record of your earnings history, the number of credits you’ve accumulated to date, and an estimate of the retirement benefits available if you wait until full retirement age. You also have the option to estimate your benefit amount yourself using the Retirement Estimator tool on the SSA website. When Can I Start Collecting Benefits? Yes! 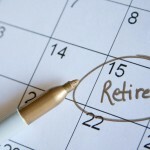 In fact, retiring early or late can have a significant impact on your monthly retirement benefit amount. The earliest you can start receiving payouts from Social Security Retirement is age 62 and the latest is age 70. You may choose to begin anywhere in that eight-year span; however, many people choose to delay the start of their retirement benefits until they are older than 62 years old because the longer you wait to start getting payments the larger your monthly payments will be. If you wish to receive your “full” retirement benefits you will have to wait until age 67 to start collecting benefits if you were born after 1960. If you were born between 1938 and 1960, full retirement age varies depending on what year you were born so you will need to check the Social Security Administration’s website to be certain. Calculating exactly how much larger your benefit will be if you delay your retirement can get tricky; however, your monthly benefit amount could be reduced by as much as 25 percent if you start collecting your retirement benefits early, and will remain at that reduced rate for the rest of your life. Conversely, your monthly benefits will increase 8 percent for every year that you delay the start of your benefits up to age 70. Therefore, if you were born after 1960, and you wait until age 70 to begin collecting your retirement benefits, your monthly benefit amount will be 24 (0.08% x 3) percent greater than if you had started collecting benefits at the age of 67 (full retirement age). Please download our FREE estate planning checklist. 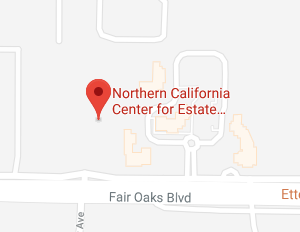 If you have questions about estate planning, contact the Sacramento elder law lawyers at the Northern California Center for Estate Planning & Elder Law today by calling (916)-437-3500 or by filling out our online contact form.